This has been an incredibly busy week, but I am trying to focus on making one blog post a week and this week I’ve been thinking a lot about training, and sharing and how amazing video is at this. This week I’ve created two videos for training purposes for my teachers. Recently I’ve had to go to four or five classes and set certain things up. While I love spending my time with teachers, I really want my job as EdTech Coach to be focused on learning conversations. In order to liberate some of my setting up with teachers time I’ve made videos and shared them with teachers, this way they always have access and they can learn at their own time (and not have to ask me which I think some people try to just coast along until we realize that they aren’t doing what’s expected). The videos have been easy to make using Camtasia2 my coworkers use another program, but I think this is pretty easy to use. I’ve been in a number of classes this week working with students making videos. I just returned from one class that is working on documenting the systems they use. The students take a video of the system they want to talk about and then use Explain Everything to narrate. 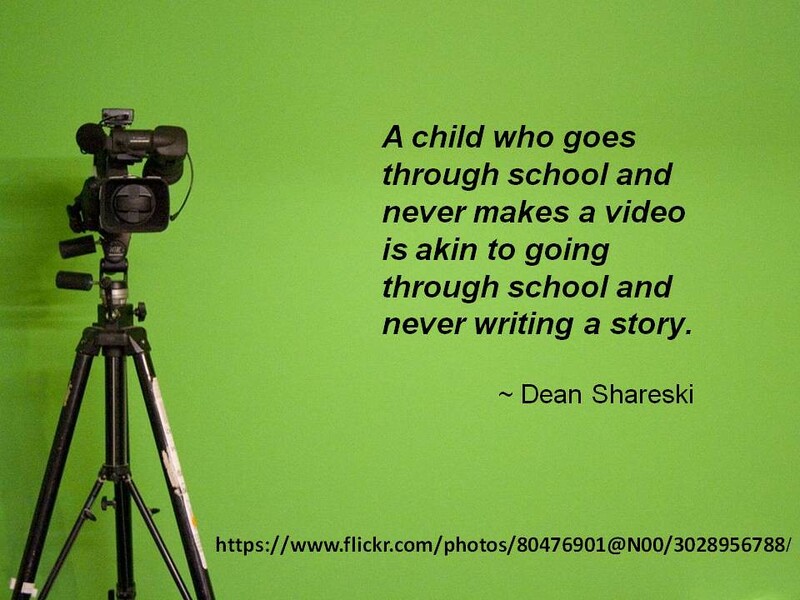 The quotation above is great, we need students to be making videos (especially the younger students) to fully understand what they know and honour how they can explain it. It empowers the students to share their knowledge in any way possible. This week in the #enviroed chat we’ve been talking about nature and technology and Ranger Ridley led me to this link regarding crowd sourcing natural understandings. It’s amazing how videos (and photos) can lead others to see what new natural things are occurring, and what is happening to our natural systems. My focus on the next couple of weeks will be bringing video into more of my lessons, and hopefully in more of my teacher professional development. Eager to see what come of this Joe! You're an inspiration as well when it comes to environmental literacy & stepping outside the box. Thanks Rob, I really liked the wall of bird sounds last year too. I wonder if we can create a space that shows our different environments, and the things we see.